Pope Francis has experienced a noticeable weight gain since he was first appointed as the head of the Roman Catholic Church, and Vatican doctors are attributing the excess pounds to too much of his favorite foods, which include spaghetti, ravioli, and pizza, as well as the pontiff’s lack of exercise. As a result, Pope Francis has been told by his doctors to revamp his diet and get more exercise in the wake of his recent weight gain. According to reports, the pope’s doctors have informed Italian news agency Ansa that the Argentinian pontiff needs to adopt a more disciplined lifestyle and diet. Francis has been outspoken about his love for rich foods, Italian dishes, and desserts in the past. In fact, in the October 2014 publication of Buon Appetito, members of the Swiss Guard, who are the equivalent of the pontiff’s secret service, revealed that some of his favorite dishes include empanadas (baked or fried beef, chicken, or lamb turnovers), roast sirloin steak, dulce de leche (which means “sweet of milk” and is a thick, creamy caramel dessert sauce made with sugar and milk), and various other Argentinian specialties. In the wake of his recent weight gain, Pope Francis has been told by his doctors to revamp his diet. As a result, the 78-year-old pontiff has been told to restrict his indulgences to twice a week. In addition to laying off the rich foods, Francis has been advised to walk more often to lose weight and combat the stress of his job. This latest news has contributed to concerns over Francis’ health, particularly since he was diagnosed with lower back issues. His condition, which is commonly known as sciatica, is the result of inflammation of the sciatic nerve and affects not only the lower back, but mobility of the legs as well. According to his doctors, Francis’ continued weight gain is likely aggravating the pontiff’s back pain and mobility issues. However, they feel more exercise and less sedentary activity should greatly benefit him. They are encouraging Pope Francis to spend less time in meetings and more time out in public where he can be more active. Along with concerns for the pontiff’s health, there is also heightened speculation about His Excellency’s tenure as the leader of the Roman Catholic Church. 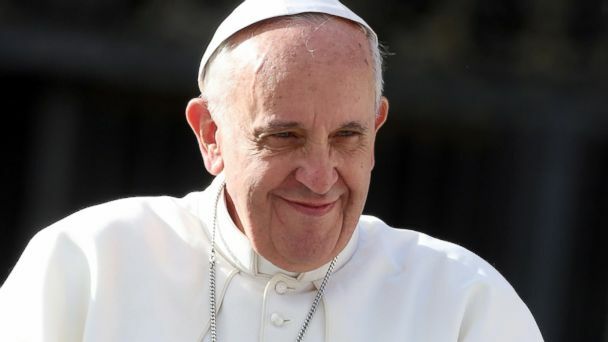 This speculation was made public last month when he confessed that he believed his time as pontiff “will be brief.” Remarks made to Mexico’s Televisa network included mention of Francis’ belief that his tenure as pope will be short-lived. He speculated four or five years in the interview and noted that he has already spent two years in his current role. Moreover, Francis also expressed the feeling that the Lord had placed him in his position for a short time, but with a mission and sense of purpose. However, he also stated it was a sense and left the possibility of change open. As Pope Francis is told by his doctors to revamp his diet and adopt a more disciplined lifestyle in the wake of his recent weight gain, the pontiff also has been advised to exercise more often to lose weight and combat the stress of his job. In addition to concerns for the pontiff’s health, there is also heightened speculation about Pope Francis’ tenure as the leader of the Roman Catholic Church in the wake of recent remarks. Guardian LV–Pope Francis: Will the Church Join the 21st Century on Social Issues? Guardian LV–Pope Francis Believes in Angels?